A few weeks ago, we dropped the first bit of news about the Electronic Beats Fall festival season, which has already kicked off with our showcase at Poland’s OFF Festival. Our time in Poland was filled with fantastic shows and good times, and we’re looking forward to spreading that love in other cities very soon. 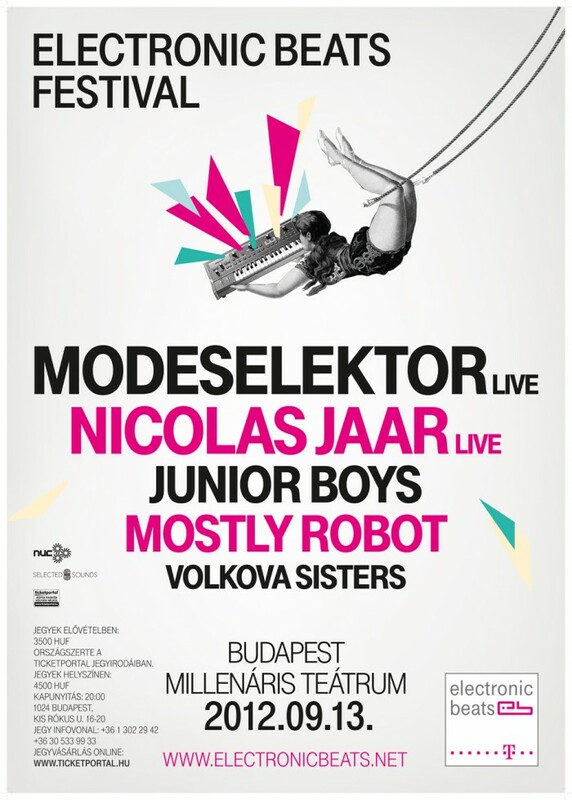 All you music fans in Budapest, for example, will soon be greeted by Modeselektor, Nicolas Jaar, Junior Boys, Mostly Robot, and Volkova Sisters, as well as a few members of EB’s editorial staff. Pay no mind to their drunken antics—remember, they’re writers. If you’re still undecided about attending this year’s Budapest-fest, why not have a look at some of last year’s highlights? And make sure to grab tickets here.